Major route announcements came from 2 Middle Eastern carriers yesterday, with Qatar Airways announcing plans to start new services to Philadelphia, Pennsylvania, USA (as well as Addis Ababa and Clark in the Philippines) and newly minted Jet Airways partner Etihad Airways revealing an up-gauge in capacity on its daily Abu Dhabi-New York JFK services to a Boeing 777-300ER. For Qatar Airways, Doha-Philadelphia services will be launched in March of 2014. 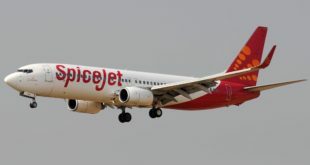 The airline had previously stated that its next US destination would be one of Atlanta, Boston, or Detroit. But the announcement of the mega-merger between US Airways and American Airlines, Qatar Airways’ oneworld partner, changed the calculus on US services. Philadelphia will be the new American’s gateway to the Northeast, and of current US destinations for Qatar Airways, one of two to offer serious connectivity through its oneworld partner American. When coupled with existing flights to American’s hub at Chicago’s O’hare International Airport, Qatar Airways has effectively bracketed the entire Eastern United States in terms of its network. There is also significant O&D traffic to support this route. While Philadelphia itself doesn’t have huge business travel demand to Asia, the Philadelphia metro area, especially the New Jersey suburbs, are home to huge numbers of Asians, primarily from the Indian subcontinent. When combined with the affluent base of South Asians in Central NJ, the Philly flight has a significant O&D base behind it, and allows Qatar Airways to bracket the South Asian VFR demand in New Jersey with flights on either end. Meanwhile, rival Etihad Airways is up-gauging its own services Abu Dhabi – New York JFK to a daily Boeing 777-300ER from the current Airbus A340-500. 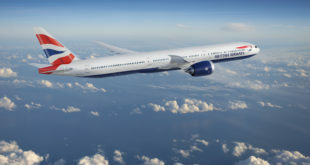 The 777-300ER will offer a total of 328 seats (8F/40J/280Y), an increase of 36.6% over the current 240. 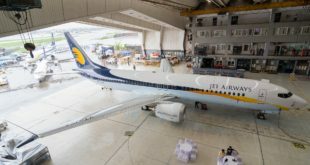 The move can be tied in part to the recently born Jetihad, which will deliver increased demand from the Indian subcontinent for Etihad’s westbound intercontinental services. Jetihad will also result in services from Abu Dhabi to Newark, likely on a 777-300ER as well, and daily 777-300ERs to both Newark and JFK is a good bracketing strategy for the NYC area. Previous CFM LEAP-1B engine for Boeing 737 MAX completes design freeze.